Since the symptoms of COPD can be varied and debilitating, including shortness of breath during daily activities, it can often be a challenge for those with the condition to complete their everyday tasks, like household chores. 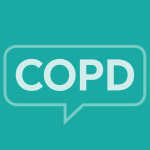 We recently conducted our 2018 COPD In America survey to find out how COPD impacts those who have it. We received responses from over 2,000 individuals living with the condition, including information on the ability to complete household tasks. Overall, 70% of respondents said they needed help with household duties, but only 31% said they actually received assistance. The remaining 40% said that they do not receive this kind of support currently, but wish they did. If you have COPD and are struggling to complete household tasks, below are several sources of support that may provide useful on your COPD journey. Not everyone with a chronic condition, including COPD, may be comfortable asking for help from those around them. Although it may be difficult, there may be more friends and family members willing to help than you realize, but only if you ask. Letting those around you know that you’re struggling, and asking if there’s anything they recommend or that they can pitch-in on might provide a greater response than expected. It’s important to remember that it is not a sign of weakness to ask for help when you need it. A quick Internet search for “help with household chores” will provide many options for paid services that can provide you with the assistance you need. This may be helpful for individuals who don’t feel comfortable asking friends or family for help, or whose loved ones are unable to fully assist. Although paid services can provide you with quick, efficient help, there are several things to consider before using a service like this. Specifically, it’s important to determine the credibility of the service. If a service or individual service provider has many, positive reviews on their website, social media, or by word-of-mouth from friends, family, or community members, it’s most likely a good choice. However, no matter how many positive reviews a service has, or how nice their website is, it’s still important to be safe before inviting a stranger into your home. For the first visit, or first several visits, it may be a good idea to have someone else at home with you. If this is not possible, telling a friend or family member that you are expecting someone to come over and help in your home, and asking them to check in with you later to make sure everything is okay, is also a good option. Although paid services can be helpful and convenient, not everyone can afford them. If this is the case for you, it may be a good idea to check and see if you qualify for any government-sponsored home help programs in your area. While federal resources, including Medicare or Medicaid, may provide coverage for in-home help, the services included are often healthcare-specific.1 This means that they may be able to help with tasks at home, however, these are limited to tasks that are directly related to managing your COPD and any other health conditions. They will not help with household chores or meal preparation. However, there are several state and local resources that may provide this kind of service for free or reduced cost depending on where you live. Especially if you are an older adult, you may be able to take advantage of your state’s Aging Services Division.2 Each state’s Aging Services Division may be called something different, including its Department of Senior Services, Office on Aging, Division of Aging Services, Department For Aging and Independent Living, and more. A full list of these divisions, based on their location, can be found on the U.S. Department of Health and Human Services website.3 You can contact the agency in your area to determine what programs they have available if you qualify for assistance, and how to apply. Within each state’s Aging Services Division, there are a variety of different programs which can vary from place to place. Some of these may be services that provide in-home meal preparation or meal delivery, help with home repairs, and general assistance with household chores. If you are a younger adult and do not qualify for these services based on your age, there may still be programs that exist in your area that can help provide you with the support you need. For example, the state of Massachusetts has a program called the Home Care Assistance Program (Under 60), which provides similar services to those described above for younger adults living with significant health-related burdens.4 If you are a younger adult in this category, talk with your doctor or healthcare provider to see if they know of any resources like these in your specific location. Your state’s Aging Services Division may also be able to point you in the right direction if you contact them but are too young to qualify for their services. 1. Help Paying for Senior Home Care. SeniorLiving.org. https://www.seniorliving.org/healthcare/help-paying-home-care/. Accessed January 16, 2019. 2. State Resources. Eldercare Directory. https://www.eldercaredirectory.org/state-resources.htm. Accessed January 16, 2019. 3. Resources Near You. U.S. Department of Health and Human Services. https://www.hhs.gov/aging/state-resources/index.html. Accessed January 16, 2019. 4. Home Care Assistance Program (Under 60). Mass.gov. https://www.mass.gov/home-care-assistance-program-under-60. Accessed January 16, 2019.